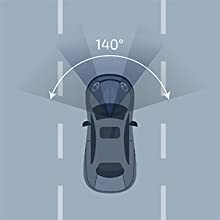 The rear view camera captures incidents from all angles in 135° distortion-free, wide viewing angle, 720P at 30 fps for all-around protection. 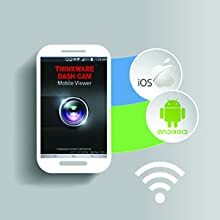 Use the built-in Wi-Fi and mobile app to position your dash cam, review videos, and customize your settings. Our FA200 mobile app features various recording modes, for you to navigate and configure your dash cam! *Only available for compatible iOS and Android smartphones. 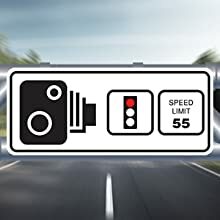 This unique Parking Mode feature is perfect for dash cams with smaller SD cards. 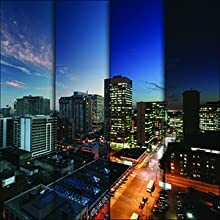 Time Lapse records footage at a lower frame rate while reducing video size, to cover a longer period of surveillance. This feature operates for up to 72 hours(3 days) after the ignition is turned off. 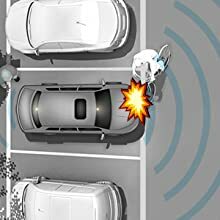 • Impact Detection will capture impacts caused to the vehicle such as any hit-and-run driver in the act while you are away. • Motion Detection will capture any motion around the vehicle for potential vandalism attempts. • Energy Saving in Parking Modeextends coverage duration exponentially by keeping the dash cam in a power-saving mode during inactivity. 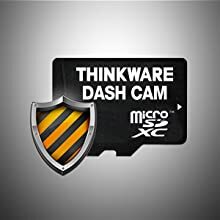 The dash cam enters a Sleep Mode and Wakes Up instantly after an impact has been detected to safely record and store the next 20 seconds. The Integrated Super Capacitor and Thermal Sensor enhances reliability in extreme temperatures. When a vehicle gets too hot, our Thermal Sensor will automatically turn off the dash cam. The Super Capacitor is also a reliable alternative to traditional lithium-ion batteries, as there are no chemicals which contain explosive contents. 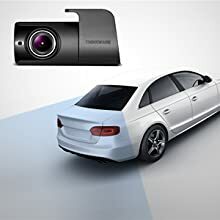 With the optional GPS antenna, the dash cam can track the road and direction of travel to notify the driver of photo enforced areas for safe driving. *Safety camera alerts must be enabled. *GPS Antenna (sold separately) required. Records 140° distortion free, wide view angle in Full HD 1080p at 30 fps with Wide Dynamic Range for correctly exposed, true-colour video. Saving and managing your video footage is just as important as recording high quality videos. 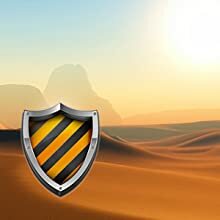 Stop data fragmentation and file corruption with Thinkware's Anti-File Corruption Tehnology. By dedicating pre-allocated space in your memory card for each video segment, this prevents bad data-storage and eliminates the need for defragmention, while extending the life of your memory card.